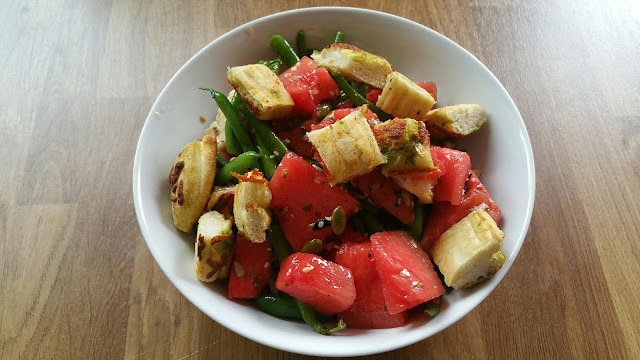 First up was our dinner for the day, a Grilled Halloumi, Watermelon and Green Bean Salad. Seriously delicious, i'm certain we'll be creeping halloumi in to our meals more often from now on. 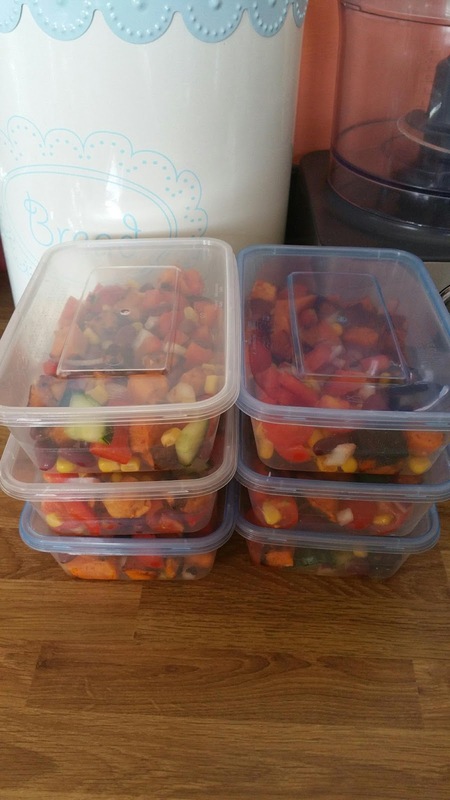 ...and lastly my lunches this week have been Sweet Potato, Sweetcorn and Bean Salad. Yum Yum! 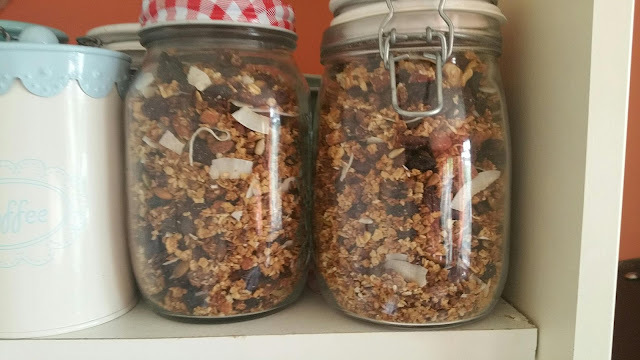 Batch cooking is a great way to stay on track with diet/wellness goals, to free time up during the week so you're not cooking every day and works out cheaper as you can bulk buy ingredients instead of single servings and uses less fuel in the cooker doing it all in one hit instead of firing it up for short periods every day. 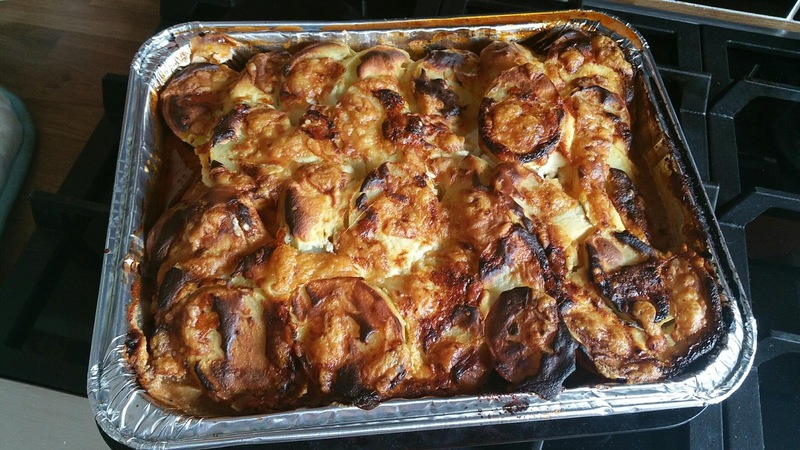 Oh some ideas there as I have aubergines in the fridge to use up. They all look so delicious! We're having terrible heat right now--I don't dare fire up the oven. I'm SO looking forward to autumn! 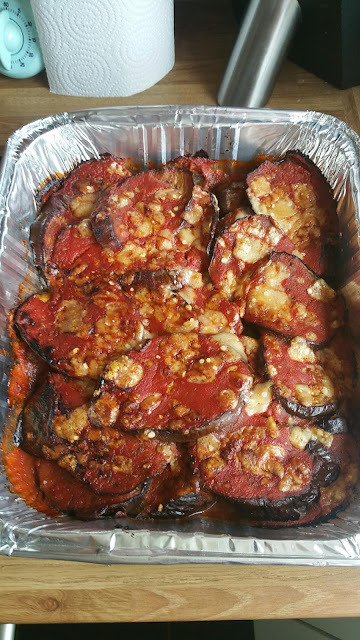 Look good, I'm planning on doing some batch lunch meals for my wife when she's back at work. Yummy looking and practical, too. Even just cooking for myself I like to prepare ahead and have gotten into the habit of cleaning my fresh vegetables before putting them in the fridge so that I can just grab them as needed throughout the week.